Chanteur Rock 'n' Roll US né le 24 octobre 1935 à Tulsa (Oklahoma). 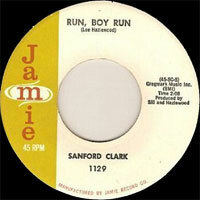 Sanford Clark fut remarqué par Lee Hazlewood en 1955. Il fait un premier enregistrement en 1956 chez MCI Records, puis il passe chez Dot ( 56-58) où Sanford enregistrera en tout sept singles. 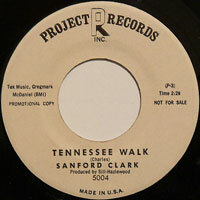 En 1958, il passe chez Jamie (58-60), Trey (61), Project puis à partir du milieu des années soixante, chez Project, Warner Bros, Trev, Project et Ramco Records. 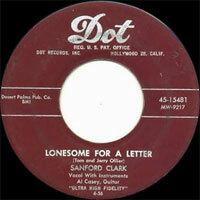 Sanford Clark found fleeting fame with his rendition of the Lee Hazlewood song "The Fool." With a Vocals style that blended elements of Johnny Cash with Ricky Nelson, Clark released the song in 1956, and it eventually peaked in the Top Ten of the pop charts and in the Top 15 of the country charts -- his first and only hit. Clark was born in Tulsa, Oklahoma, and raised in Phoenix, Arizona. A guitar player from childhood, he was influenced by both early rock & roll music and by country music. He got his start in the early '50s playing in Phoenix clubs. While stationed in the South Pacific during his stint in the Air Force, he formed a band and won a talent contest in Hawaii. Eventually, the Air Force stationed him back in Phoenix, where he met his old friend Al Casey, who introduced Clark to Hazlewood, who was still working as a local deejay and hadn't yet made his mark as a songwriter. Soon afterward, Clark recorded "The Fool" with Casey on guitar. 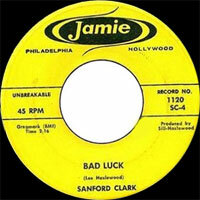 The song was released on MCI and went nowhere until a Philadelphia deejay heard it and took the song to Dot Records' Randy Wood, who liked it and had Hazlewood license the song to his label. 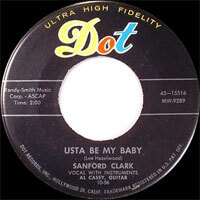 Afterward, Clark and Casey began a promotional tour opening for such stars as Ray Price and Roy Orbison. 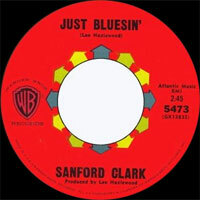 In 1957, Clark returned to the studio to record another Hazlewood song, "The Cheat." It only became a minor hit. At this time, Clark was having trouble with Wood who wanted him to become a virtual clone of Dot's most popular artist, Pat Boone. 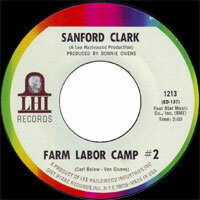 The label sent Clark to Hollywood to continue recording, but many of the songs were not released until much later. Those that were released did little or nothing on the charts. 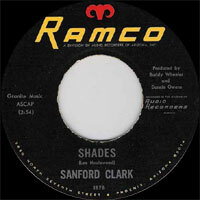 In 1958, Clark signed to Jamie Records. Casey and Hazlewood joined him and began working with Duane Eddy. 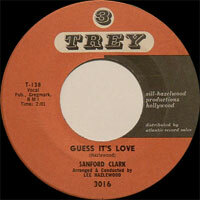 They also worked with Clark, who recorded "Still as the Night," featuring Eddy on guitar. Nothing happened on the charts and he began recording on other independent labels. He eventually landed in Hollywood where he hooked up with songwriter/aspiring performer Roger Miller, who was playing the Palomino Club. 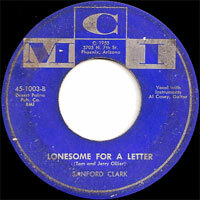 Miller wanted him to record a few of his songs, but Clark wasn't interested. 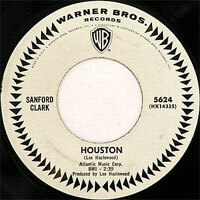 Sanford almost had a hit in 1964 when he recorded Hazlewood's "Houston" for Warner. Unfortunately, Dean Martin also recorded it on Reprise and his version became the hit. The following year, Clark returned to Ramsey's label and created a new version of "The Fool" featuring Waylon Jennings on guitar. 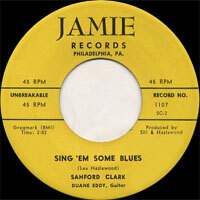 By this time Hazlewood had become a prominent producer and signed Clark to his LHI label. He made an album there, Return of the Fool, but it went nowhere and by the early '70s Clark had finally had enough and joined the construction industry, where he found success at last. He continues to record sometimes on his Desert Sun label.